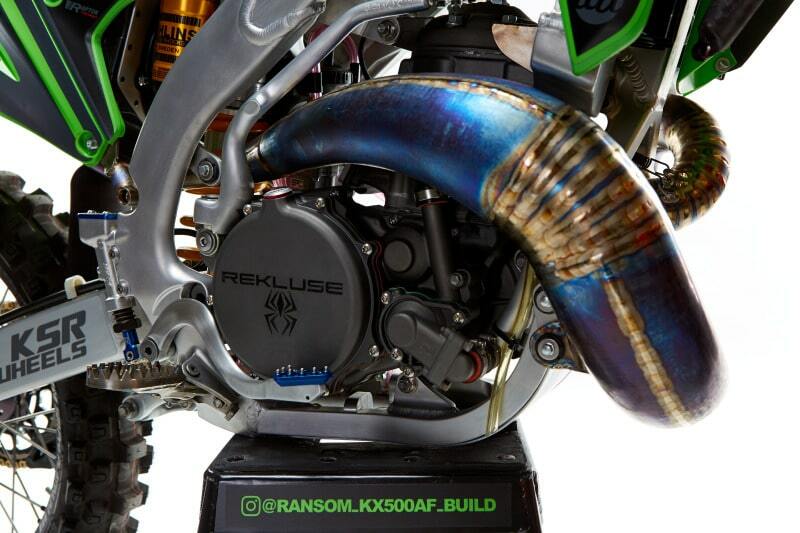 The 2018 Ransom KX500AF is finally done and trust us it’s worth the wait! 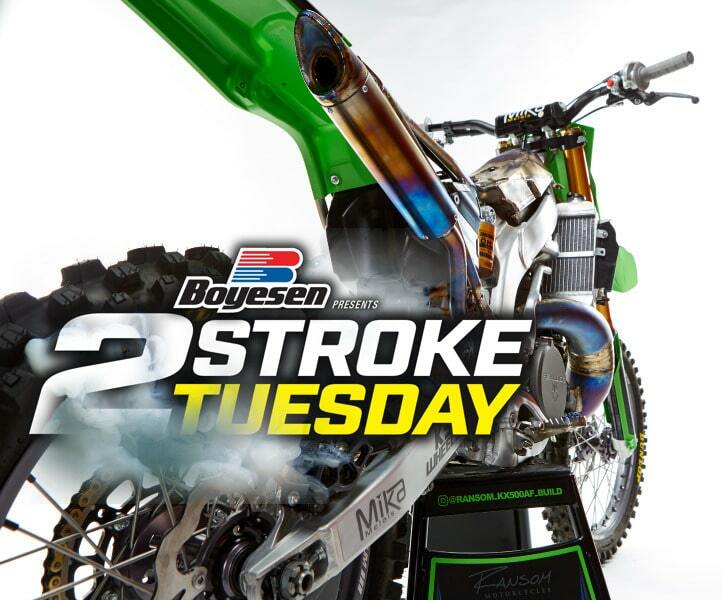 On this week’s Two-Stroke Tuesday we give you the exclusive first look at this extreme machine brought to life by custom bike builder Wayne Ransom. All the specs will come at a later date but for now enjoy the artwork and some words from Wayne himself about his influences on this build. We feature products from Ride Engineering and Traction MX in 2-Stroke Hardware while 2-Stroke Theater is packed full of 500cc project bikes for your viewing pleasure. Don’t miss the exclusive link to our KDX500 build at the bottom of this post. 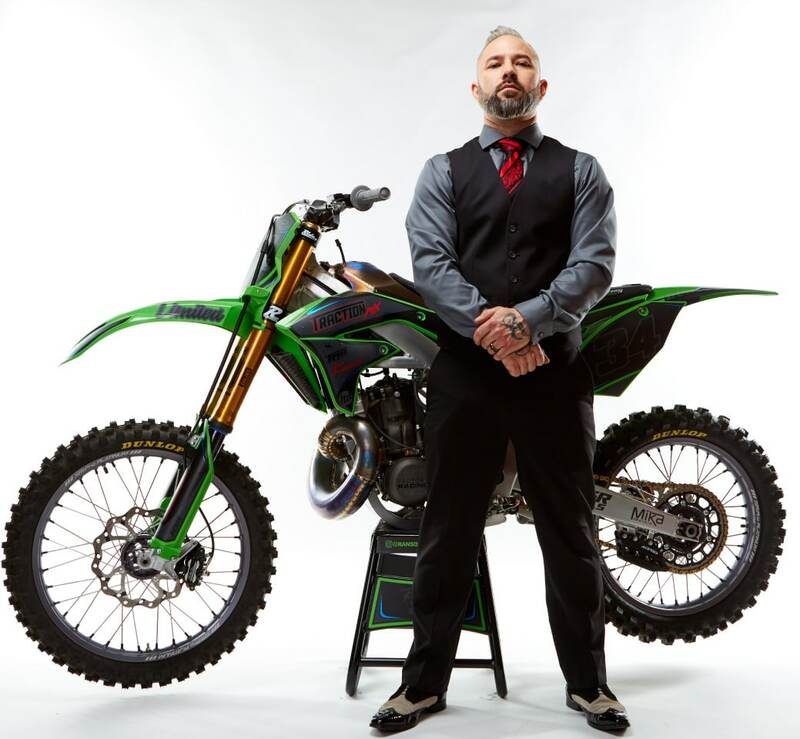 These 38 years have been quite a journey with a ton of ups and downs, twists and turns, but one thing that has remained constant is my love affair with dirt bikes. All dirt bikes, all brands, all models, freshie or clapped, new or old makes no difference. It was all a dream, I used to read Dirt Bike Magazine.. and still do. But as a kid, I think what really got me through the school day was the Dirt Bike Magazine that sat on my desk as a reminder to what I could shift my focus to when I got home. DIRT BIKES. I don’t think any single dirt bike feature ignites my passion more than a 2-stroke pipe. Unexplainable. On tough days in my studio, I fire up my 2 stroke, and give a couple wicks of the throttle just so I can smell that premix while I work. Things just seem to flow better after that. The airbox boot adaptor plate was the easiest thing about this build. A little Titanium, a lot of hours, and my first Titanium MX fuel tank takes shape. I can smell the premix already. The number 34 on the number plates comes from the number that my childhood hero wore when he played for the L.A. Raiders… Mr. Bo Jackson. What good is power if you can’t harness it? Ride Engineering has the binders to keep that power in check with their billet front caliper, oversized rotor kit, and steel braided lines. With all that power, a tacky, durable seat is needed to keep you saddled. 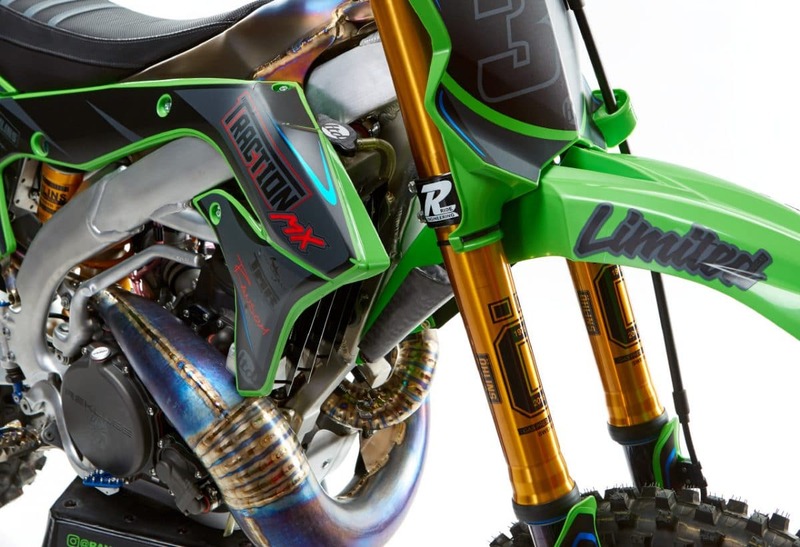 TractionMx’s precision, style, and durability is undeniable. With my head buried in the pages of Dirt Bike Magazine, daydreams of one day riding like Jeff Ward or Mike Larocco filled my head. 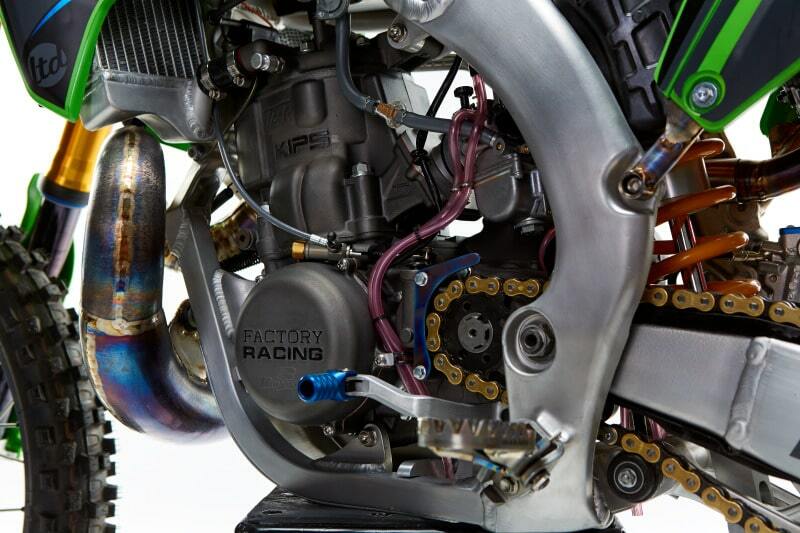 But I never thought that their engine builder (Tom Morgan Racing) would one day be working his magic on my dirt bike. “I have a set of knobbies that’ll stick to the track like glue!” ~Bear Nolan, “Winners Take All”. I’m pretty sure he was talking about Dunlop tires. And I’m pretty sure I wore out that VHS tape. I end all my photo shoots the way I try to end every day. With professionalism, perfectionism, and having extracted every ounce of gifting I possess to serve people. 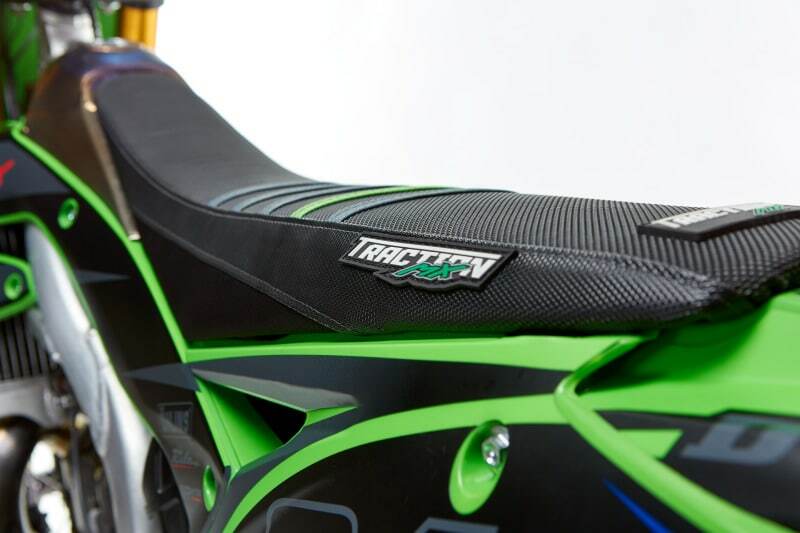 Traction MX is a racer owned and operated business making completely custom seat covers. 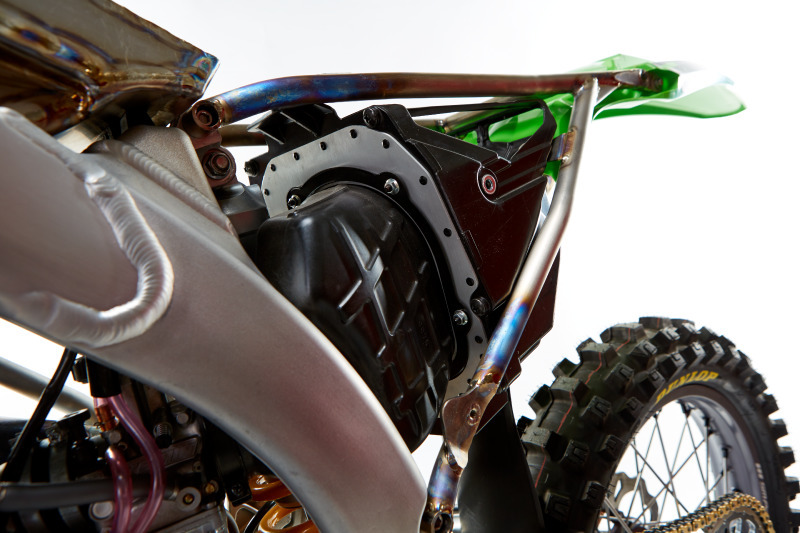 All Traction MX products are designed and made in house in the U.S.A with pride. 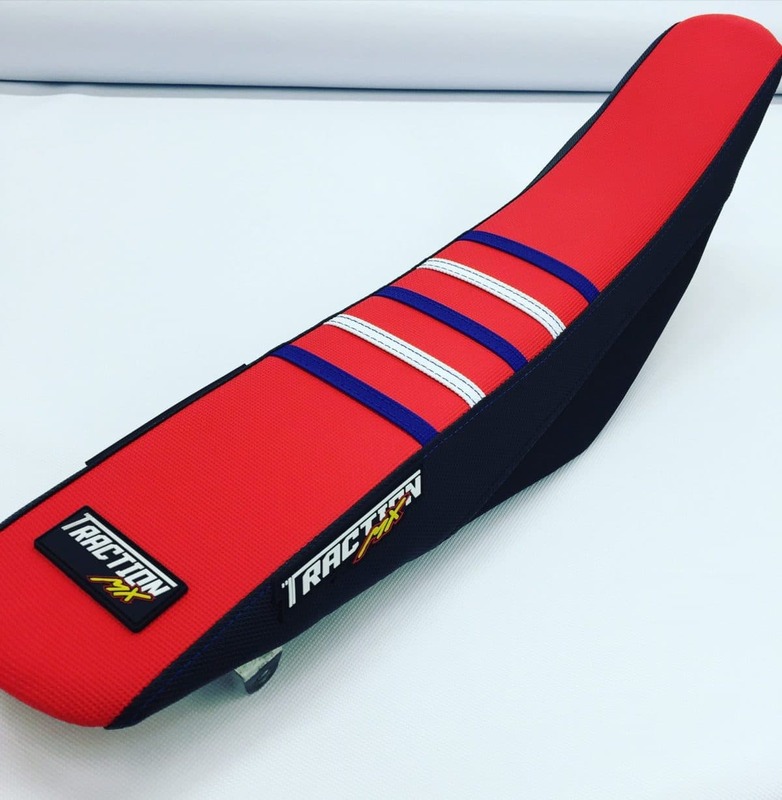 Each of our gripper seat covers are hand-crafted and individually made for each customer. Our commitment to fine craftsmanship can be seen in every detail on each cover. 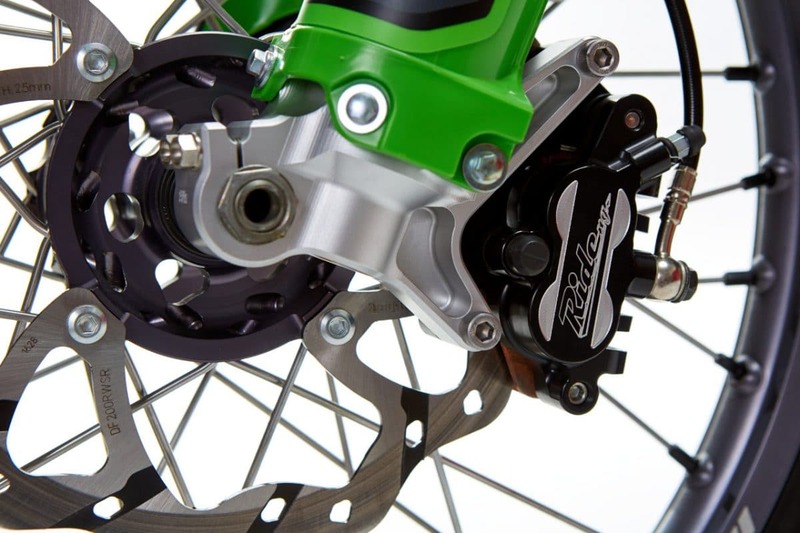 Ride Engineering has redesigned their Billet Front Brake Caliper. Features include: 1. more powerful braking with a softer pull at the lever and a better feel for traction (from larger pistons); 2. better cooling with openings that allow air to pass through the caliper body and 3. 80% less flex from a much stiffer body design. They added 1. Less drag on the front wheel by adjusting the o-ring grooves and 2. made it much easier to bleed by moving the location of the bleed valve. 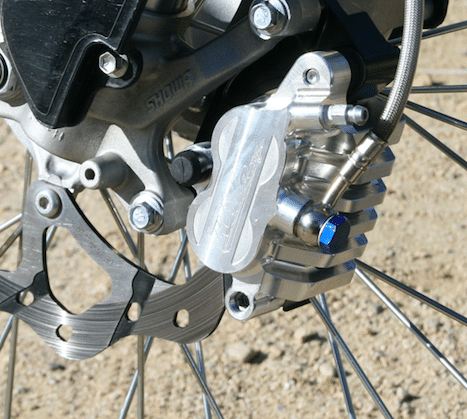 The caliper fits all four Japanese models but does require an 11mm master cylinder which comes stock on CRFs, KXFs and RMZs (YZ/YZFs would require a master cylinder from one of the other brands). 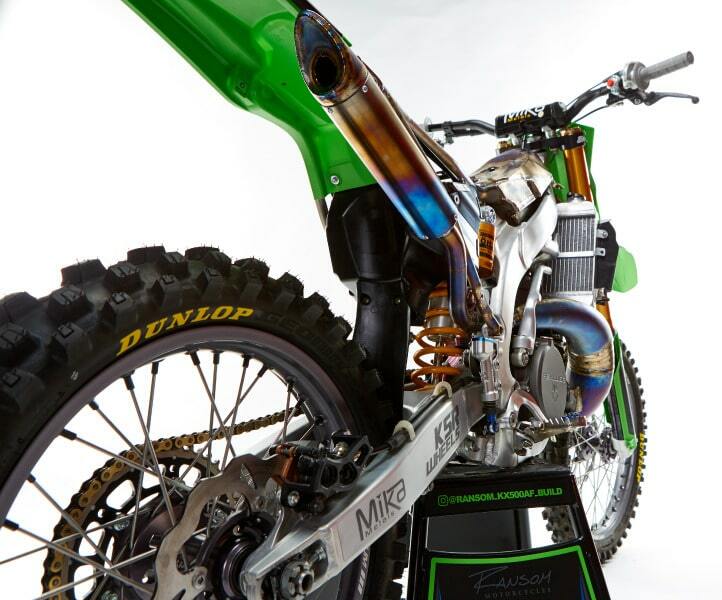 If you like the custom built KX500AF featured on this week’s Two-Stroke Tuesday check out our KDX500 project ! Click the image below for more information. THE WEEKLY FEED: JOHN DESOTO CAPTURED, CODY WEBB VID IS NUTS!